Supporting its effort to diversify from being predominantly a charter specialist into a balance of leisure and scheduled operations, Russia’s NordWind Airlines is adjusting its capacity according to the new strategy and in response to growing demand. The airline which, along with sister carrier Pegas Fly is part of Turkish-backed Pegas Touristik Group, has added an eighth Airbus А321 narrow-body to its fleet and is expecting the delivery of a ninth of the type shortly. The newly arrived aircraft is a 10-year-old A321, with tail number VQ-BRL, and is powered by IAE V2500 engines and fitted with 214 passenger seats in a single economy-class configuration. It has been delivered under an operational lease agreement with Aircastle. 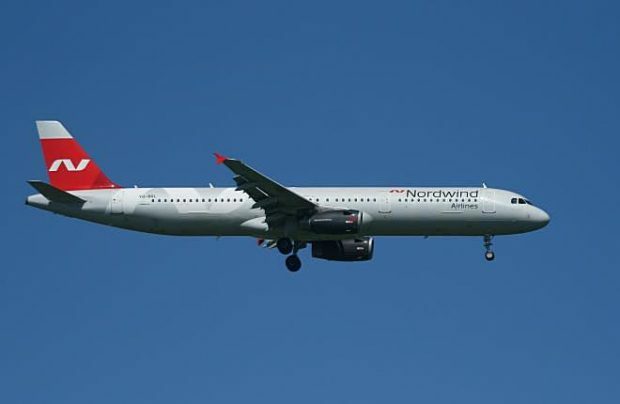 NordWind’s A321 fleet is expected to reach nine airframes before the end of this year. The eighth, as well as the ninth, were previously operated by defunct British holiday airline Monarch Airlines. NordWind’s Air Operator’s Certificate (AOC) lists 22 aircraft registered with the airline as of May of this year: two Airbus А330-200s, six Вoeing 777s, eight Airbus А321s and six Вoeing 737-800s. However, according to a public tracking service, only 19 of these are currently in service, showing instead that three wide-bodies (a Boeing 777 with tail number VP-BJH and two Airbus A330s, VP-BYV and VP-BYU) are currently idling in Istanbul. Reportedly, the A330s were leased from Turkish Airlines under short-term contracts, and have now been repatriated to Turkey and will shortly be replaced with long-term leased aircraft of the same type, it is claimed. At the same time, the airline is expanding its long-haul fleet, which is expected to reach 10 aircraft before the end of this year. A sixth Boeing 777 has recently entered service. NordWind and Pegas Fly plan to expand their joint fleet to 50 aircraft this year. Pegas Fly currently operates four Вoeing 737s, six Вoeing 767s and an Embraer 190. The airline is expecting to take delivery of six more E190s.